Sunday lunch, time for a pasta for two; the mood this time is "fish and tomato". This is a pretty classic pasta sauce, which surprisingly I haven't blogged about in 3 years of pasta recipes blogging. 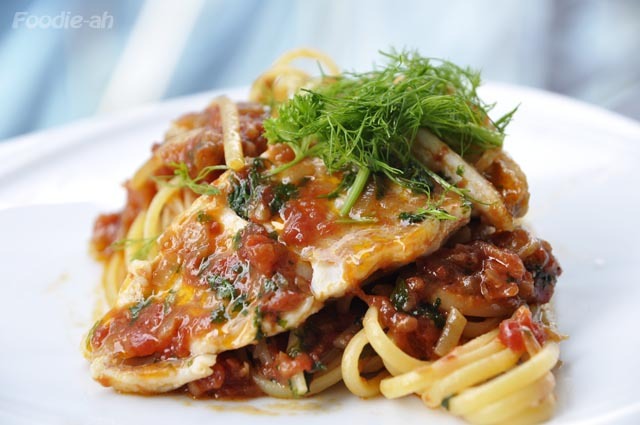 Linguini is the perfect pairing for this pasta, although you can also use spaghetti. 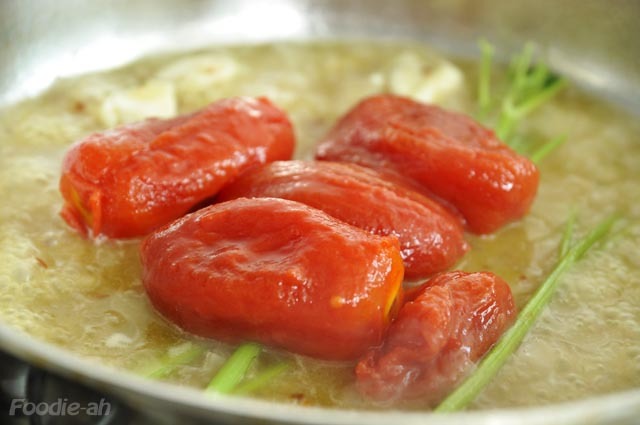 The idea is to make a mild tomato sauce, enriched with a fish fumet done on the spot. 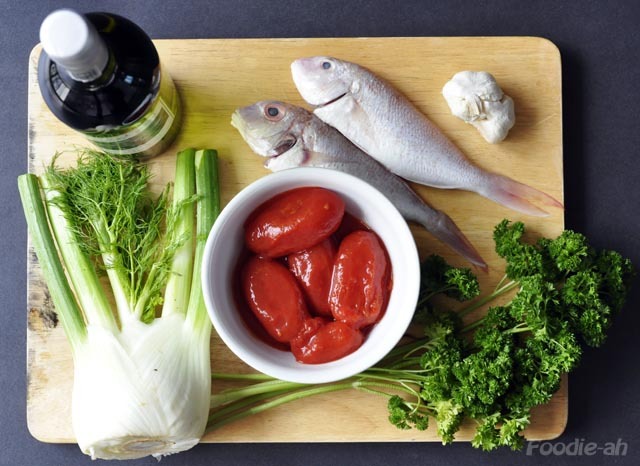 You can of course use other fish, and red mullets (in Italian - triglie) would be ideal for this dish, but I couldn't find them at the market, so I replaced them with red sea breams. 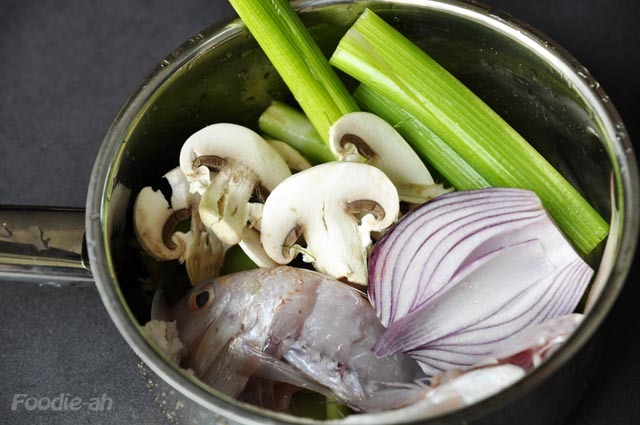 Start by filleting both sides of the fish, then put into a skillet the bones and heads, together with the stems of the fennel bulb, 1/2 onion, and optionally other vegetables that you might have such as mushrooms and celery. Fill up the skillet with cold water, and put it on high heat until it starts to bubble, then turn the heat to very low. Your fumet will need to simmer on low heat for about 20 minutes or so before you can start to use it. 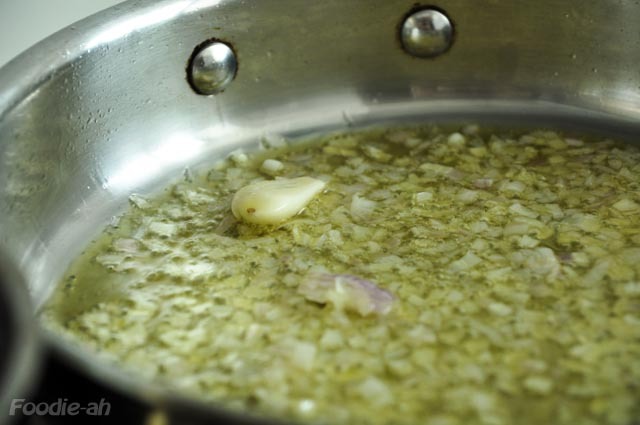 In the meantime, prepare all the other ingredients, by peeling and squashing the garlic and finely chopping half an onion. Chop the parsley and reserve the stems, and drain about 5 plum tomatoes from their juices by putting them on a sieve for some time. When the fish fumet is ready, cover a frying pan with extra virgin olive oil, and fry onion and garlic until golden, then add some chilli flakes at this point if you would like this dish to be a bit spicy. Turn the heat to high and pour the half glass of dry white wine, then quickly stir to make the alcohol evaporate rapidly. The evaporation process should not take longer than 30 seconds or so, if the heat is sufficiently high. At this point, add the parsley stems to the pan, pour a ladle or two of the fish fumet, and reduce. 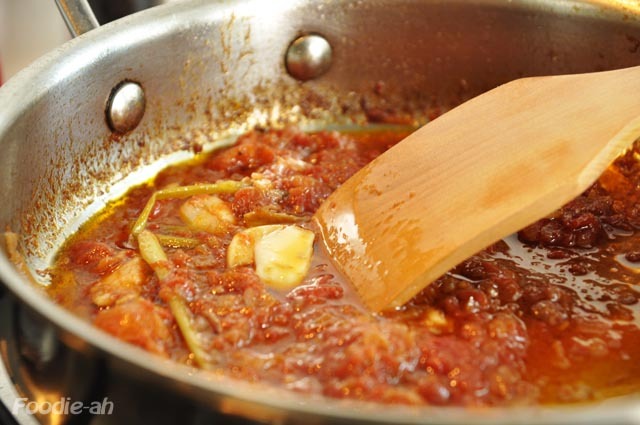 Once reduced to about a third, add the tomatoes and chop them with a spatula until you reach the desired texture. Continue to cook for about 15 mins or so, adding additional fish fumet (which in the meantime continues to simmer in its own skillet) until the liquid is all finished. Reduce the sauce until it reaches the consistency you see in the picture, remove the parsley stems, add chopped parsley then salt as needed. Sprinkle some salt and pepper on the fish fillets, then place them into the sauce, cover the pan, and keep it on low heat for a couple of minutes (depending on the thickness of the fillets this may take longer), until the fillets are cooked throughout. Boil some water in a large pan, salt it as required, then cook the linguini "al dente". remove them from the pan and drain them, pour them into the large frying pan and mix thoroughly with the sauce, adding some cooking water as needed to loosen up the sauce if required. 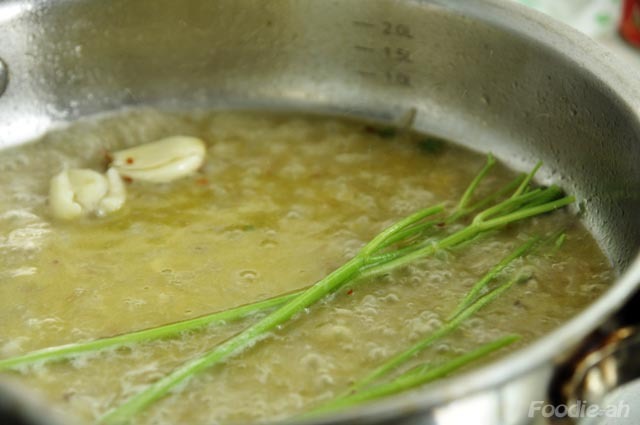 Serve on warm plates, and top with some chopped parsley or the leaves of the fennel bulb. Now that it's time to eat, you won't regret having done all this work! Hi Alice - I am very glad to hear that you were successful with this. As you said - no fumet - no luck! 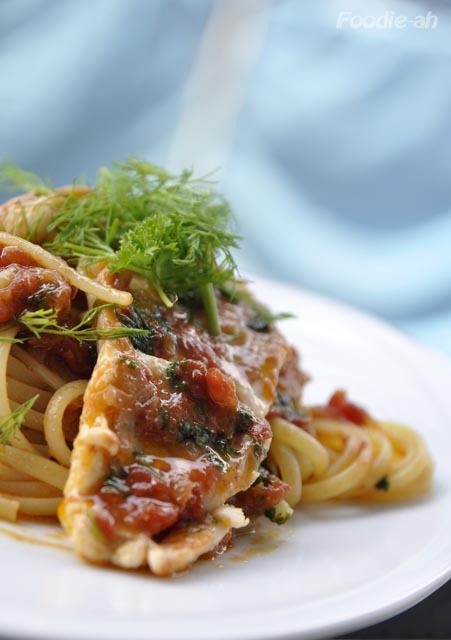 I have recently designed a new seafood pasta recipe that I should publish soon - so stay tuned! By the way - if you can't find the fennel bulb, you can replace it with celery. The fennel leaves on top were just for decoration, and dill tends to be overpowering. Hi - Just want to let you know that I cooked this again tonight! I know... after so long. It takes so much effort... need to wait for stars to align haha. Still very good... but so much standing around... esp to reduce it. I was greedy and added too much white wine. 1 question: how much water should I use for the fumet? Too much white wine will make it sour, so go slow with it. In a saucepan, just add enough water to cover the fish bones and the vegetables, and slowly simmer.